Today I received the third Nexus tablet ever. The two previous very rapidly found happy owners during the past year. It so happens that every time I purchase a tablet for myself, I always find someone to like it so much that I just HAVE to sell it. I’ll be honest, it’s not just about tabs, most of the stuff I get, I will sell, soon, because that is my joy, buying and reselling. Even one penny of benefit is a penny I did not have. It may seem like an exaggerated minimum but it’s not. I have made single penny benefits before because I don’t care about how much I make, but about how much stuff I can move around. 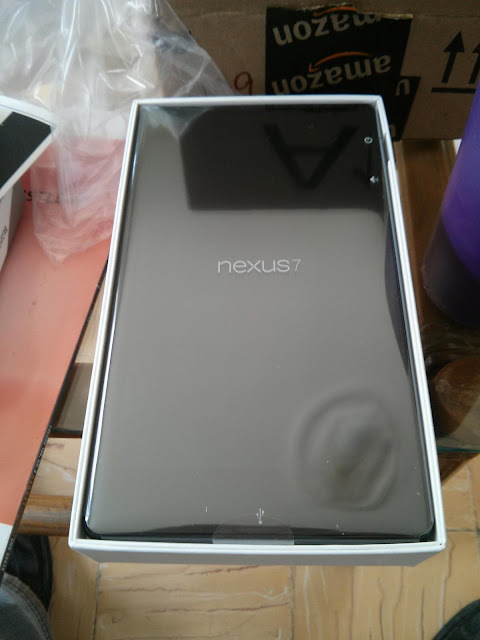 So now, I have in my hands a freshly unboxed 2013 Nexus 7. I fell head over heels for the previous iteration when I got it last year (though that did not stop me from selling it), and I hope that this new improved version will make it hard enough for me to part with it.